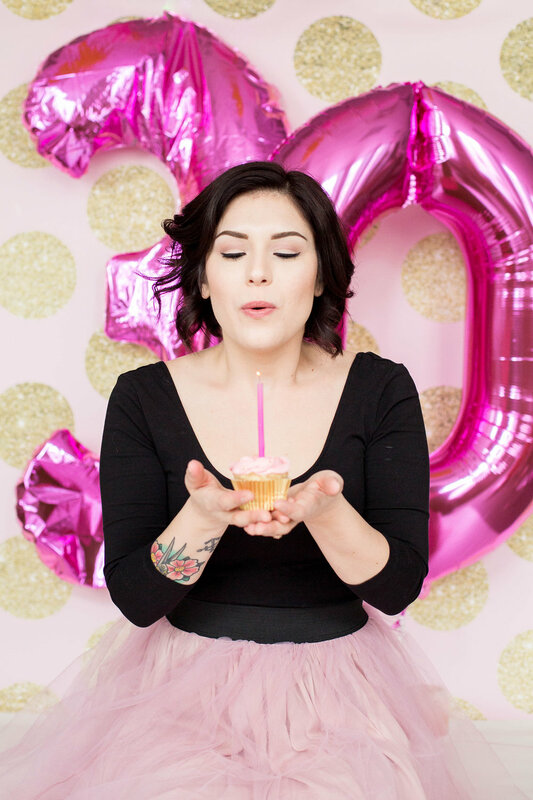 What’s a girl to do when she turns 30? Have a smash cake session, of course! Lauren contacted me about doing some photos for her 30th birthday. Think, adult cake smash session. There is wine, cupcakes, balloons, confetti and loads of fun! 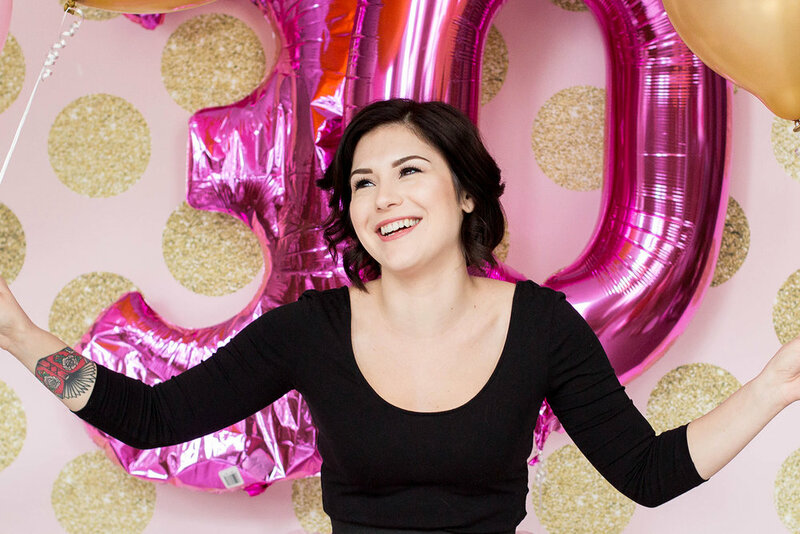 Lauren wanted a fun and unique way to celebrate her 30th birthday, because her personality doesn’t allow for dull and typical! 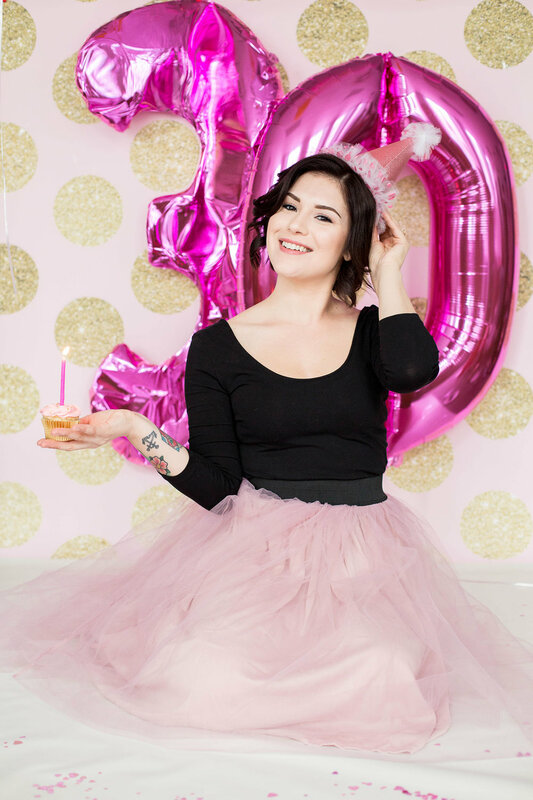 She celebrated her youth with this gorgeous shoot and had a blast! I was stoked when Lauren started sending me ideas for her birthday photo session, and we started planing some fun ideas. Just you wait until you see these photos! Lauren lives in New York. She drove all the way from New York to Fall River, MA for me to photograph her! It was definitely a huge honor that she did this for me. I photograph lots of cake smash sessions, but all for kids, never adults. So when Lauren first mentioned she wanted an adult cake smash session for her 30th birthday, I was so excited! During the session, there were so many laughs - we seriously had a wonderful time. After Lauren's adult cake smash session, it makes me want to photograph more! Definitely contact me if you're interested. Planning out a session like this is incredibly fun! Originally, for Lauren's photo session, I was going to do a mix of indoor and outdoor photos. However, here in New England it has decided to just want to rain every day, so we were forced to stay indoors. No matter! We still had a blast! Lauren brought balloons, wine and confetti. 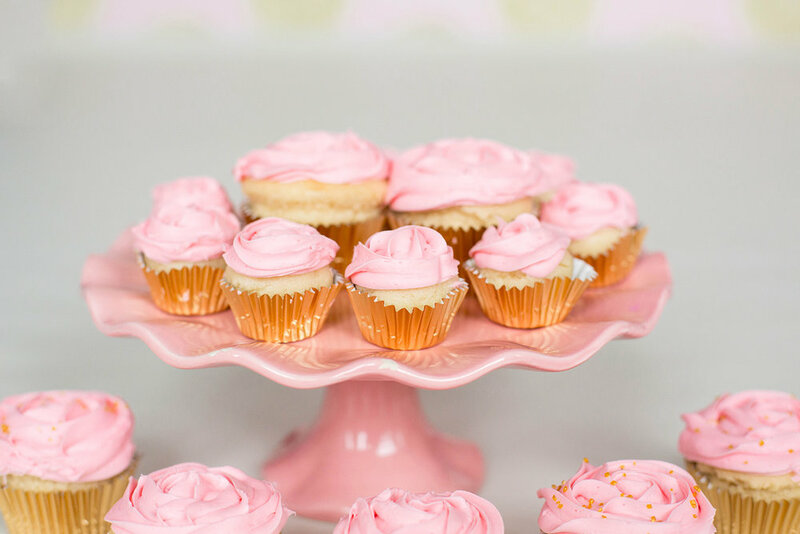 I made cupcakes and supplied a pretty backdrop. We even shared a glass of wine and a cupcake each after the session. The confetti was so fun at the end, and I think those are my favorite photos. The blast from the confetti bottle popping jolted us both a bit, haha so it took everything in my power not to shake while I laughed so I could get some clear shots of the confetti falling around Lauren. I think they came out pretty great! 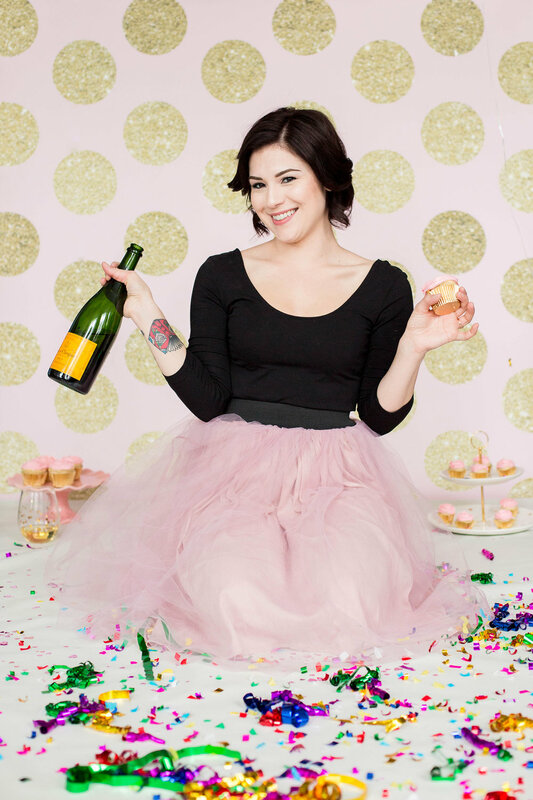 Here are some of my personal favorites from Lauren's adult cake smash session! Seriously, how fun were these photos?! Happiest of birthdays to you, Lauren!